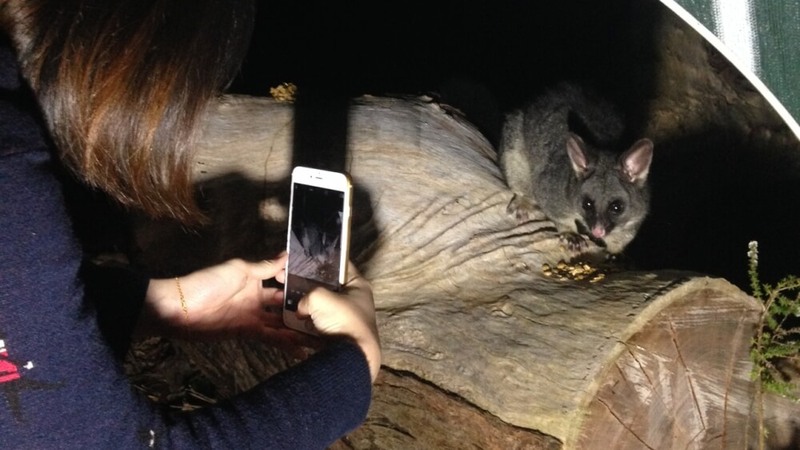 A completely unique nocturnal wildlife encounter, this tour provides a great thing to do in the Margaret River Region when the sun goes down. 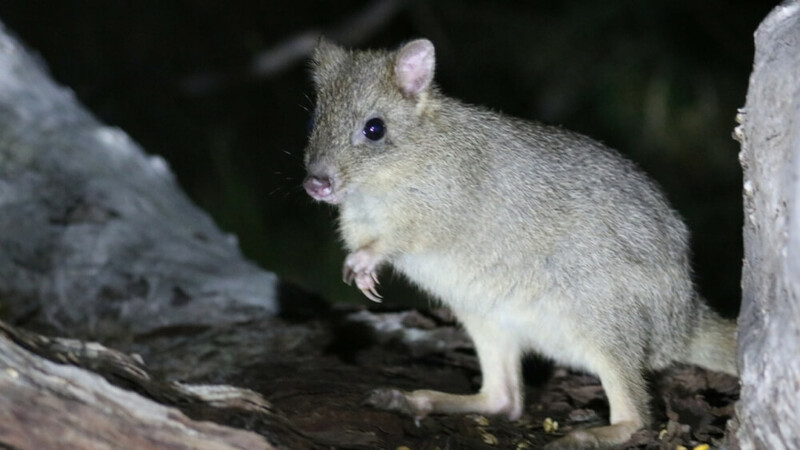 Affectionately known by the tour guides as the ‘Kung Fu Quokka’ of the South West, you will see mini marsupials called Woylies that will definitely provide your family with the “wow” factor. Holidays are about creating lasting memories and there’s nothing better than returning from your trip with some interesting stories to tell. 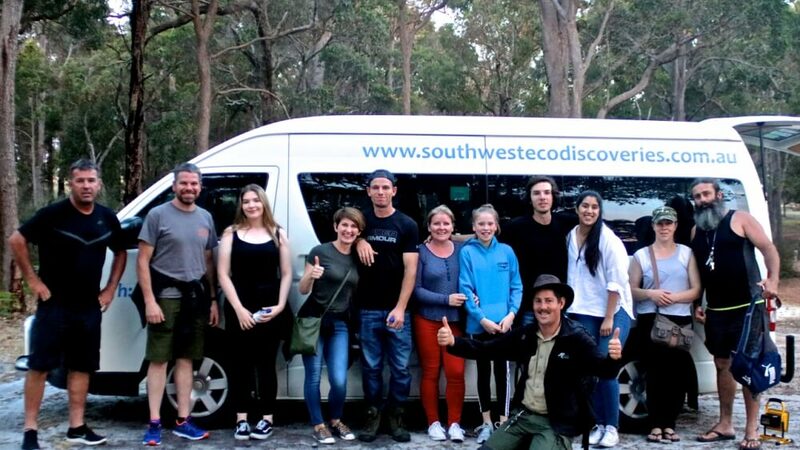 Here at South West Eco Discoveries we have been helping visitors create memories of the Margaret River Region by providing one-of-a-kind tours that are suitable for all ages. Below you will find a small selection of some memorable moments we have had on the tour, the first encounter is told by tour guide and local wildlife rescuer extraordinaire Mick White, the second is described by a satisfied customer on TripAdvisor. “It was a perfectly still summer night where the Milky Way could be clearly seen packed full of millions of bright stars, satellites whizzing around and the smell of eucalyptus trees in the air. The tour always starts with a gentle rattle of the food tin and a quick ‘woylie woylie woylie’ call to bring the animals out of hiding and it wasn’t long before the noise of animals could be heard scuttling through the thick bushland in every direction. Suddenly, movement could be vaguely seen hopping and scurrying around the outskirts of the viewing area, and right away into our vision at close range. 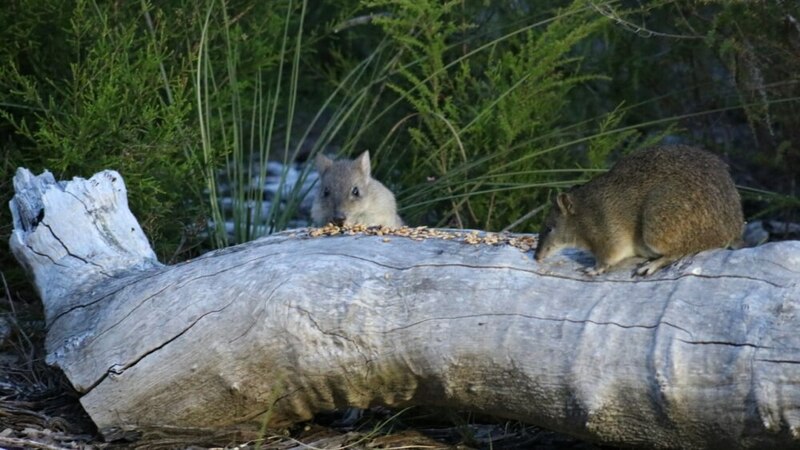 Captivating our guests, the bizarre Woylies came jumping up to us in search of their nightly supplementary feed. Before long we were surrounded by multiple Southern Brown Bandicoots, Possums, mini fluttering insectivorous bats and the sound of laughing Kookaburras in the distance as the last moments of twilight fades away. ‘Thump thump thump’. 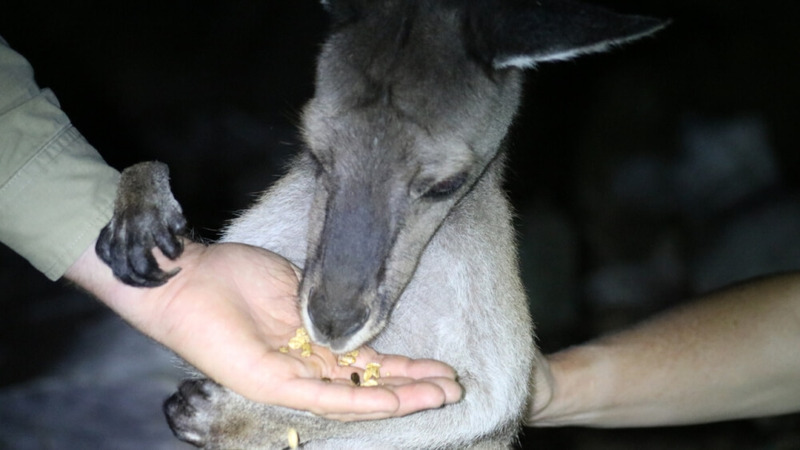 Something a little larger comes bounding into the light: Karri, one of the orphan kangaroos and regular visitor appeared, greeting our guests with her big brown eyes and fluttering lashes, beckoning for a back scratch and some roo muesli. In the midst of discussing the amazing evolution of the macropods, an unusual wavering scream was clearly heard by all, only metres behind us. ‘What was that?’ the guests asked. We all felt the hairs stand up on the backs of our necks as we had never heard this unusual sound before…. trying to make some sense of what we had just experienced, again, we heard the noise: ‘arrrrgggghhhhgggghh’ but this time it was at least 20 metres from the original location, though we had heard no footsteps. 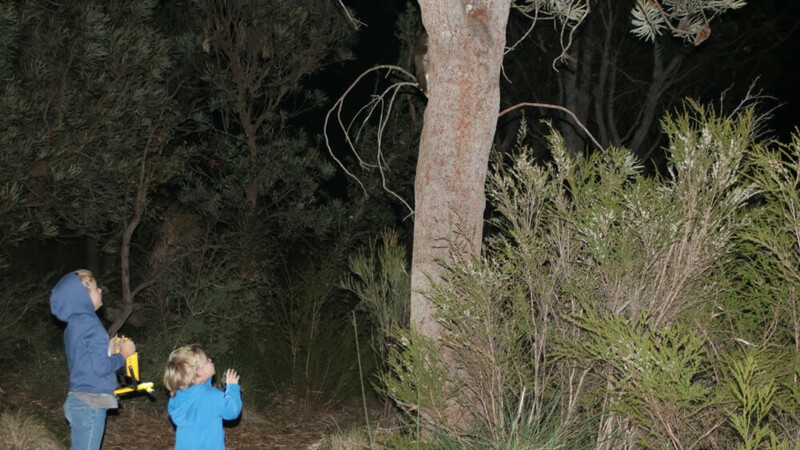 Although the sounds of the Australian bush at night can often induce a wild sense of imagination, we are very lucky to live in a part of the world that at night poses no threat or risk due to dangerous animals. Here is an amazing review of our ‘Meet the Woylies’ nocturnal wildlife encounter by a guest from Beijing, China. We are so honoured to be able to provide our guests with such a unique, once in a lifetime adventure. “I arrived in Pullman Resort Bunker Bay late afternoon and was attracted by the South West Eco Discoveries booklet among so many flyers near the front desk. The lovely woylie immediately stood up among the colorful pictures. As a non-English-as-first-language tourist, I didn’t know what it is at first but my interest in animals pushed me to discover more. The next day after I finished the sightseeing during the daytime, I booked an adult ticket for Nocturnal animal tour. I was so lucky to find out I was the only tourist that evening when Ryan and Mick came to Pullman to pick me up. At first I was a little worried that they will not come to pick me up because Pullman Resort was quite remote from both Busselton and Dunsborough. However, Ryan and Mick explained very carefully and exausively during our way to the Reserve. Their van was painted with a colorful kangroo which is very easy to spot. It took almost 20 minutes from Pullman to the Reserve. Shortly after I got off the van, I felt their suggest to wear long pants was true — I was bit by bugs/mosquittos during a short walk in the reserve before I finally reached a open space where I sat down and enjoy the billy tea & buiscuit. As time passed by, I became anxious as not even one anymal show up. Ryan and Mick sprayed food supplements on the ground and called “woylie”. It was only several minutes later that a bandicoot appeared from somewhere I didn’t notice. A bandicoot looks like a bigger mouse, but it is one of the marsupials on the Oceania continent. It was just because of the similar appearance that brought desastrous killing to them. Fortunately the number of bandicoot is not becoming less and they are not in extinctive situation. Things are not the same with woylie (otherwise known as bettong). The woylie looks like a quokka or mini-kangroo with long legs but short arms. Their way of marching forward is also jumping rather than running. The woylie kept running away and back, carrying the food supplement back to its nest and coming back again for more, whereas the two bandicoots stayed within my vicinty keeping eating without a stop. At this moment, Ryan pointed his torch up to the branch of a nearby tall tree. I looked to that direction and saw a bigger animal on the tree. The darkness made it harder for me to recognize what that is. Mick told me that was a ring-tail possum which was seldom seen in the reserve. Again I felt my luck was worth the ticket tonight. The possum didn’t stay long and kept running from one branch to another, so no picture was taken for it. When I was concentrating on oberving the bandicoots nearby me, I heard a noise. It seems that something big is approaching. As soon as I stood up and look ahead, a giant creature appeared right in front of me. It was a kangroo. I was frightened at once as I haven’t seen one after I arrived in Australia, let alone in such a close distance. It was more because I heard that kangroo’s kick will cause bone fracture. However, the kangroo seemed no interest in me, but only looked for something to eat. Compared to the bandicoots and woylie, the kangroo is really a giant creature. It appraoched to me gradually as more food supplement was surrouding me. Mick asked me to grab a handful of supplement and see how the kangroo react. The following ten minutes should never be forgotten: it smelled for a second and began to chew the supplements on my hand! I can even felt its tongue was licking my hand with temperature. Its front paws touched my hands while eating and I could see the paws were really long and sharp. I even got the chance to touch its neck and toes.